Members of our formation community (candidates, novices and those in their first years of vows) are on retreat this week at the Siena Center in Racine, WI. 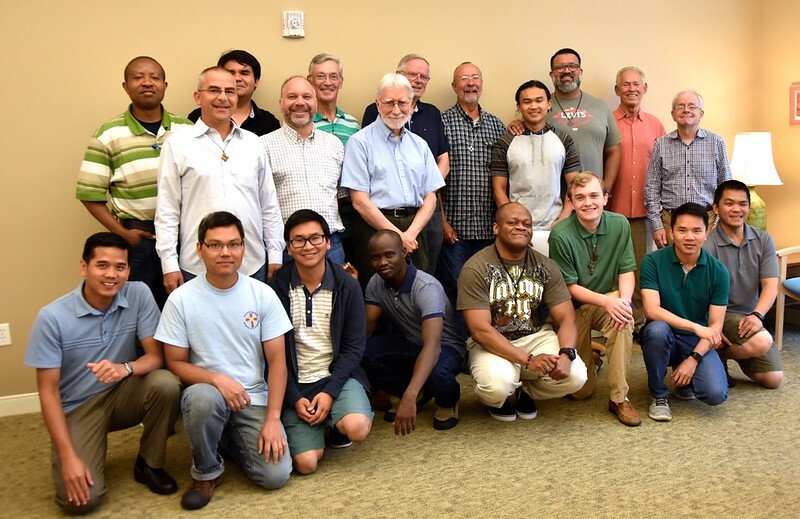 The retreat is based on the North American Dehonian Retreats, “Open Hearts,” that were held in suburban Toronto last August and at the Siena Retreat Center in May. Joining the students were members of the formation team for both the novitiate and Sacred Heart Monastery. The retreat was organized by Fr. Jim Schroeder, Fr. John van den Hengel and David Schimmel. David is director of Dehonian Associates for the US Province.